CARIBBEAN - The vulnerability of Caribbean Small Island Developing States (SIDS) will be a key topic of discussion at the Third International Conference on SIDS, which will take place from 1 – 4 September 2014 in Apia, Samoa. The Conference will focus the world’s attention on this group of countries that remain a special case for sustainable development, in view of their unique characteristics and particular vulnerabilities. 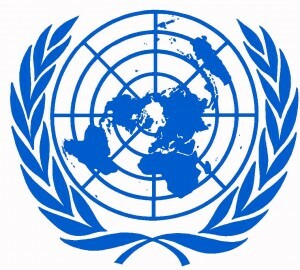 A featured side event at the Conference will be a high level panel hosted by the United Nations Economic Commission for Latin America and the Caribbean (ECLAC) subregional headquarters for the Caribbean, on 1 September 2014. It will highlight the development challenges being faced by Caribbean SIDS in particular. The areas of trade and finance, governance and institutional capacity, disaster management and regional integration will be the focus of the panel’s discussions. The impact of the classification of Caribbean SIDS as middle income countries based on Gross Domestic Product will also be a key issue addressed. The panel will seek to inspire more tangible, practical actions to assist Caribbean countries through greater engagement with the private sector, and by enlisting the continued support of the international donor community. The Third International Conference will give priority to the fostering of genuine and durable partnerships. The high level panel discussion will provide the forum for collaboration on key thematic issues, including debt management, risk reduction, institutional strengthening and resilience building. ECLAC’s panel discussion will feature the Caribbean Foreign Ministers of Guyana, Jamaica, Saint Vincent and the Grenadines, and Trinidad and Tobago, with the special participation of the outgoing President of the 68th United Nations General Assembly, H.E. Dr John Ashe, of Antigua and Barbuda.